Taylor Wiseman & Taylor (TWT) delineated wetlands, performed field surveying to develop base mapping, and prepared engineering design for 8,500 feet of 16-inch water transmission main to supplement Medford Township’s water supply. 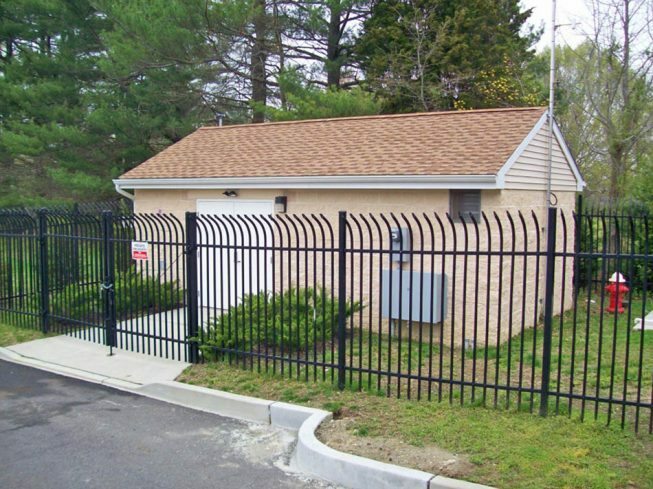 Design included a Water Booster/Chlorination Station situated in a township park to increase pressure and provide treatment for the piped water prior to delivery to Medford Township. The booster station was screened with native landscaping, and the building design was architecturally compatible with a ball field concession stand to appease adjacent property owners. Township and County Planning Board approvals requiring public testimony were necessary for the booster station. The project included application for and receipt of Wetlands General Permit 2 and Stream Encroachment Permit for wetlands and Flood Hazard Area impacts. TWT combined the project with an adjacent water distribution main extension application compelling NJDEP to complete their review within a 90-day period, saving months from the permit approval process.